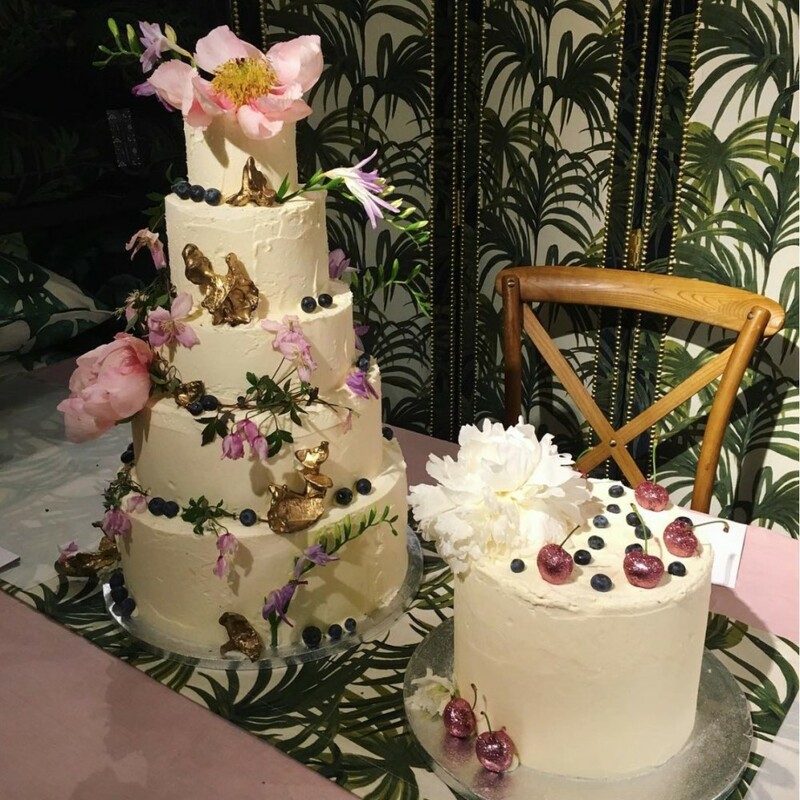 Last week we were invited by our stylish east London neighbours House of Hackney to take part in their Unique Wedding Showcase. 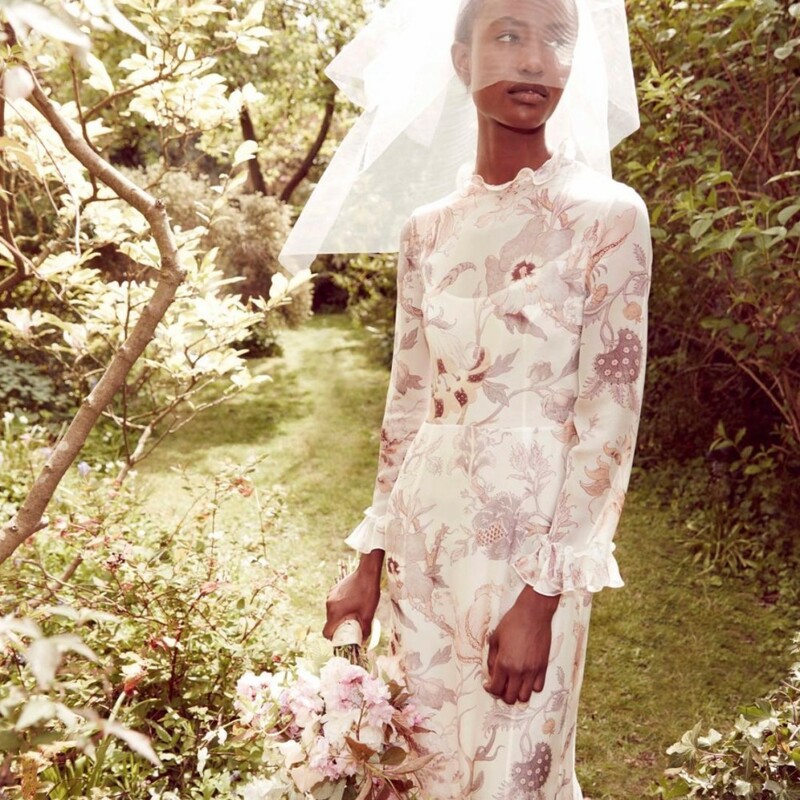 Hosted in the House of Hackney store on Shoreditch High Street, they gave brides-to-be the chance to meet with creatives in the industry. In the process they launched their new BLOOMSbury collection, designed specifically with romantic summer parties and weddings in mind. 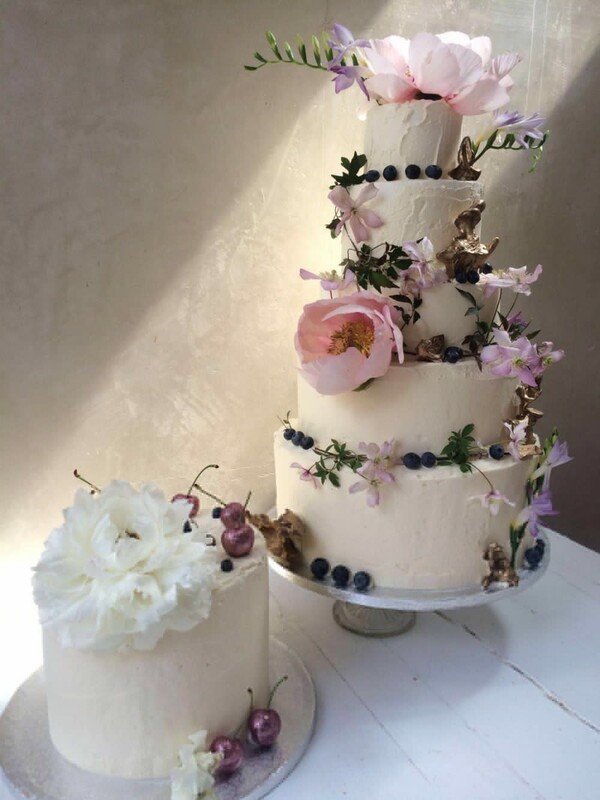 We brought along some beautiful wedding cakes finished with our signature decorative touches in order to offer brides an alternative to the classic wedding cake. We were in good company too. 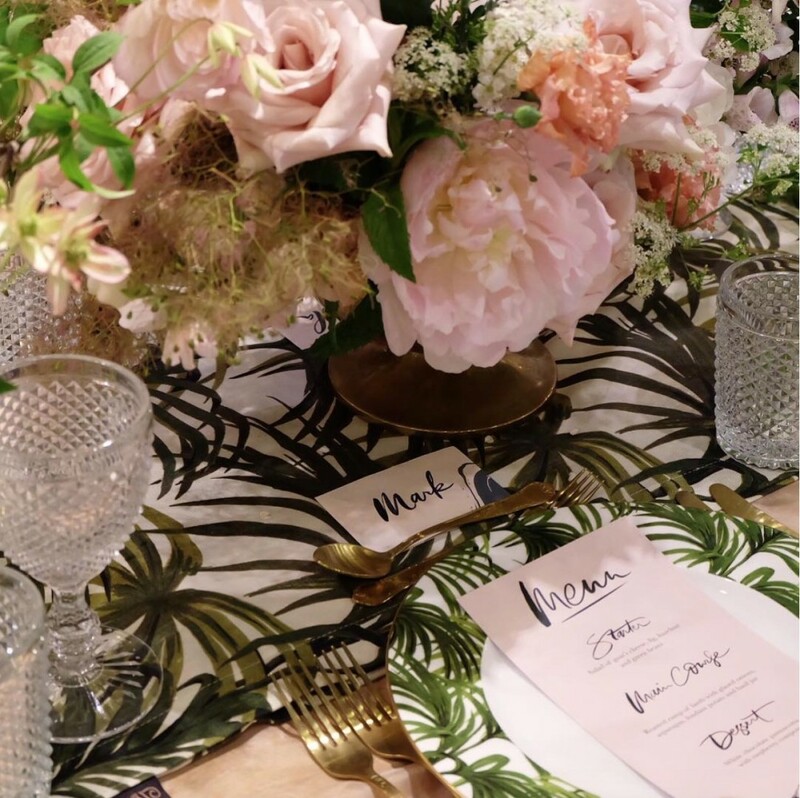 Our friends at Palais Flowers demonstrated their bold and playful floral arrangements while Lamplighter London showed off their calligraphy skills for invitations and place cards. Budding brides also had the opportunity to speak to the best wedding planners, photographers and event decorators in the business. Overall, a really lovely evening – better than an evening spent whizzing through Pinterest for wedding inspiration anyway! To chat to us about designing your perfect wedding cake head over to our weddings cake page. There is lots of inspiration there too to help you make decisions.